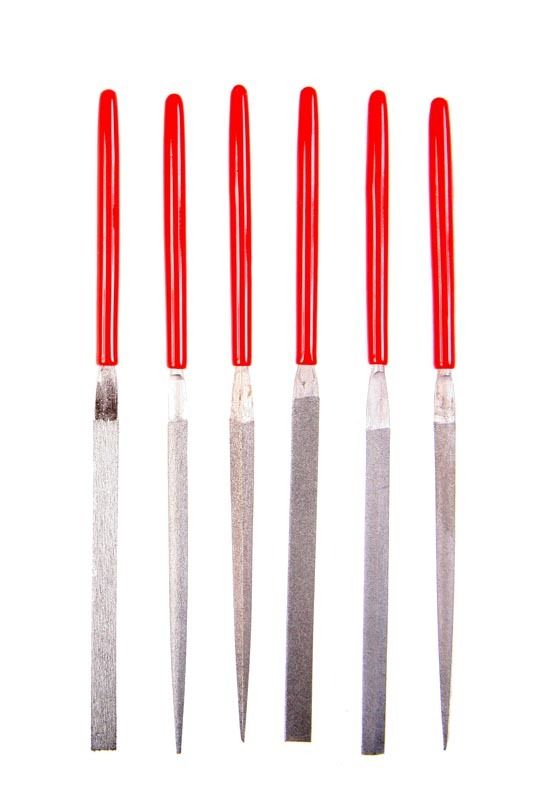 Gunsmiths, tool and die makers, jewelers, stockmakers, rely on EZE-LAP needle files to get the job done. 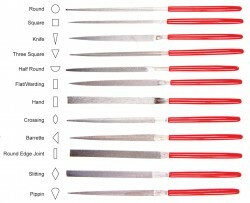 EZE-LAP offers twelve different shapes of diamond needle files. Two durable efficient grits – Fine (600 Grit) and Coarse (250 Grit). 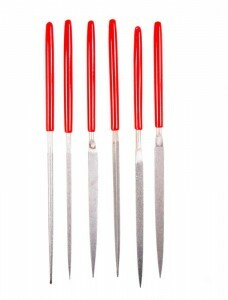 5.5 inches (14 cm) overall length O.A.L.) 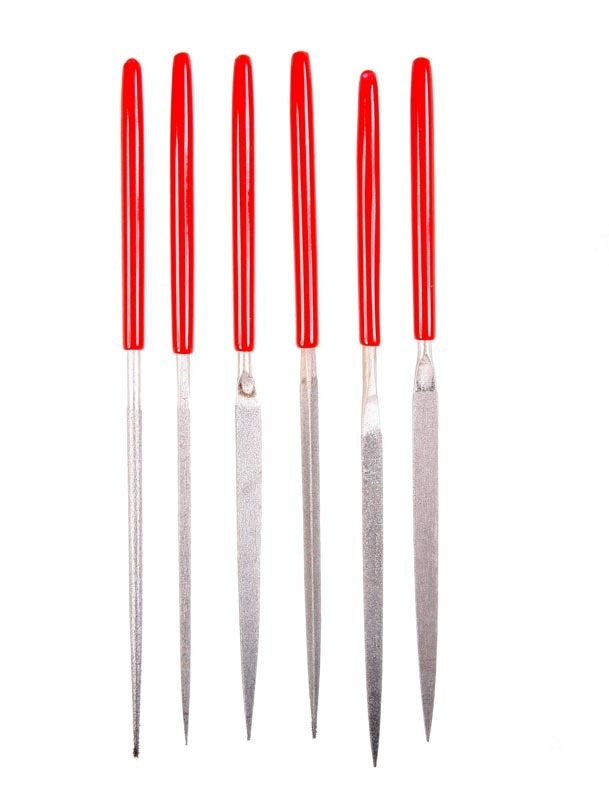 and shank diameter of 0.118 inches (3 mm). 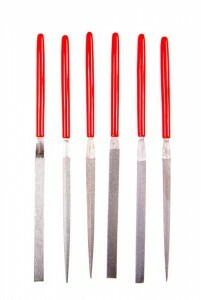 Six files in wallet (select fine or coarse). 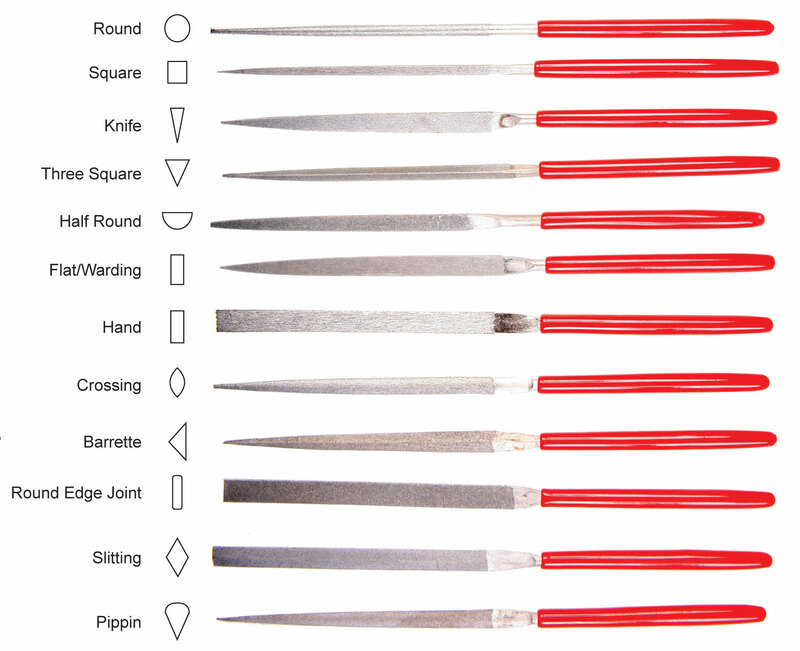 Hand, crossing, barrette, round edge joint, slitting and pippin.